Today's getup! WE HAD RAIN IN VEGAS! lol I'm so used to the rain since I grew up on the island of Saipan, but rain plus the freezing cold still takes getting used to. 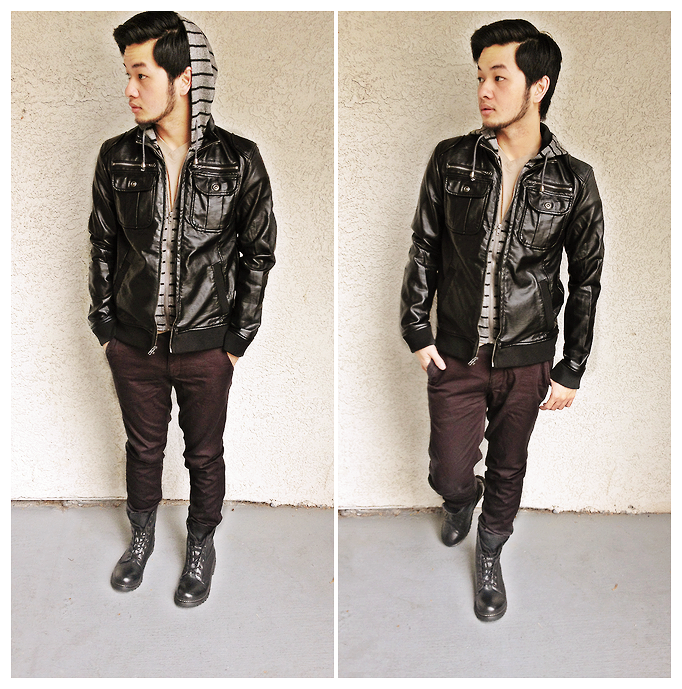 I got the chance to use my hooded faux leather jacket from Ross. I like how sleek it is. On camera, it looks really glossy, but it actually has a mat finish and it feels really nice too. I paired it up with boots just to tie in that leather concept.